404, 503, 301, the website status code is the most common, but as a webmaster, you should have more website status codes in order to respond to various errors in the website and fix errors faster. Here are some website status codes that Yang Xiaojie blogs for everyone. The server has created the document and the Location header gives its URL. The request has been accepted, but the processing has not been completed. The document has returned normally, but some of the response headers may be incorrect because a copy of the document is used (HTTP 1.1 new). Without a new document, the browser should continue to display the original document. This status code is useful if the user refreshes the page periodically and the servlet can determine that the user document is new enough. There is no new content, but the browser should reset what it displays. Used to force the browser to clear the form input (HTTP 1.1 new). The client sent a GET request with a Range header and the server completed it (HTTP 1.1 new). The documents requested by the customer can be found in multiple locations, which are already listed in the returned document. If the server wants to make a preference, it should be indicated in the Location response header. The document requested by the client is elsewhere, the new URL is given in the Location header, and the browser should automatically access the new URL. Similar to 301, but the new URL should be considered a temporary replacement, not permanent. Note that the corresponding status information in HTTP 1.0 is "Moved Temporatily". When the status code appears, the browser can automatically access the new URL, so it is a useful status code. Note that this status code can sometimes be used in conjunction with 301. For example, if the browser incorrectly requests http://host/~user (the trailing slash is missing), some servers return 301, and some return 302. Strictly speaking, we can only assume that the browser will automatically redirect only when the original request is GET. See 307. Similar to 301/302, the difference is that if the original request is POST, the redirect target document specified by the Location header should be extracted via GET (HTTP 1.1 new). The client has a buffered document and issues a conditional request (generally an If-Modified-Since header is provided to indicate that the client only wants to update the document than the specified date). The server tells the customer that the originally buffered document can continue to be used. The document requested by the client should be extracted by the proxy server specified by the Location header (HTTP 1.1 new). The request has a syntax error. The client tried to gain unauthorized access to the password-protected page. The response will contain a WWW-Authenticate header, which will display the User Name/Password dialog box and then issue the request again after filling in the appropriate Authorization header. Resources are not available. The server understands the client's request but refuses to process it. Usually caused by permission settings for files or directories on the server. Unable to find resource for the specified location. This is also a common response. The specified resource has been found, but its MIME type is not compatible with the client specified in the Accpet header (HTTP 1.1 new). Some of the prerequisites specified in the request header failed (HTTP 1.1 new). The size of the target document exceeds the size that the server is currently willing to process. If the server thinks it can handle the request later, it should provide a Retry-After header (HTTP 1.1 new). The URI is too long (new in HTTP 1.1). The server encountered an unexpected situation and could not complete the client's request. The server does not support the functionality required to implement the request. For example, the client issues a PUT request that is not supported by the server. When the server acts as a gateway or proxy, it accesses the next server in order to complete the request, but the server returns an illegal response. The server failed to respond due to maintenance or heavy load. For example, a servlet might return 503 if the database connection pool is full. 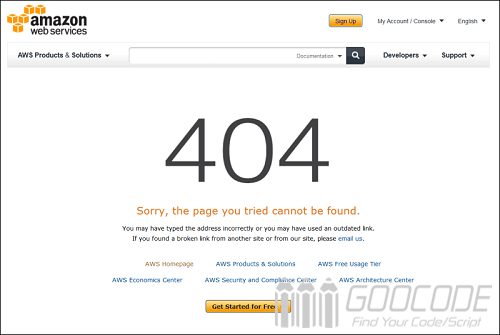 A Retry-After header can be provided when the server returns to 503. The above is a variety of website status codes, I hope everyone can remember! I will visit your web diary reliably for some latest post. I will visit your web diary routinely for Some latest post.